The Chamber is pleased to announce a new option for its members’ health insurance needs. Last year, the federal government revised regulations to allow associations to offer health insurance to their member businesses. These new association health plans (AHPs) allow small businesses to band together to obtain health care coverage as if they were a single large employer. At the end of 2018, the Chamber established a relationship with Anthem Blue Cross to provide AHP coverage, and now we have put an additional AHP agreement in place with Hometown Health. 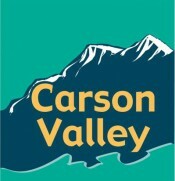 In order to take advantage of these health plans, businesses must be members in good standing of the Carson Valley Chamber of Commerce. Insurance brokers writing these plans must also be Chamber members and those brokers can be found by clicking here.